A standard fuel gauge float works just fine. Connect it to a standard digital or analog gauge. Lets hope fueltank sensor is compatible with water immersion. In industry we use a variety of sensors. Ultrasonic, laser, capacitive & so on. Most of those need threaded boss into the tank. Is the tank wall visible and somewhat transparent ? Now that video is crazy cheap, how about a camera ? Remote mount a clear tube sight gauge? I even measured filling from empty and added gallon-specific markers. You can run a clear hose to a remote location as water seeks it's own level! Look at RV parts suppliers. There are various potable water senders available. Only issue is they usually read in quarters with 4 led's instead of like a fuel gauge that's infinitely incremental. 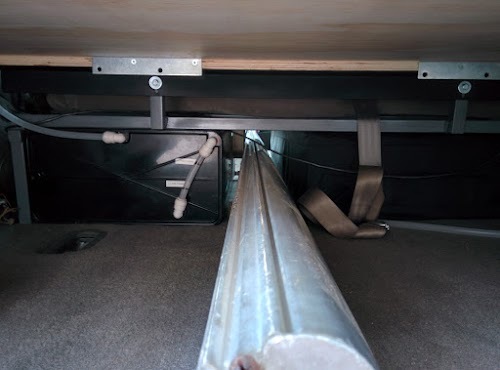 See Level II in my RV has a strip that is put on the outside of the tank and sent to a monitor that reads in percentage. It is pretty accurate. Also has other tank monitors, like for black and grey tank as well. but if truck isn't on level ground isn't that going to significantly affect that? Same with any type of gauge!